One of the biggest gaming bills in state history takes its first steps. House lawmakers grapple with sweeping alcohol law changes. And a Senate committee votes to raise the minimum age to buy tobacco products. The gaming bill does three big things: it allows a Gary casino to move inland, off the waterfront. It allows a new casino to open in Terre Haute. And it legalizes sports wagering, including online. The sports betting provisions have broad support. But the industry is divided on the casino changes. A Senate committee unanimously approved the bill. The major alcohol bill before a House committee came out of a two-year, special study commission on the issue. It would, among other things, require clerks at grocery stores to be 21-years-old and go through training to ring up alcohol. It would force grocery stores to keep their alcohol in one area. And it would allow restaurants to let customers bring in outside bottles of wine, for a fee. The House committee will consider amendments and vote on the bill in the next week. A Senate committee advanced a measure to raise the minimum age to buy tobacco products from 18 to 21. It does exempt members of the military from that change – though veterans groups who testified before the panel oppose the exemption. The General Assembly created regulations for e-liquid manufacturers and retailers in 2017, such as requiring tamper-proof packaging and labeling. Now, proposed legislation would eliminate some of the labeling requirements. That includes scrapping a rule that every e-liquid container have an identifiable, trackable product code. Redistricting reform advocacy groups have long called for a bigger step: an independent redistricting commission to draw Indiana’s maps. More than 200 red shirt-clad volunteers flooded statehouse hallways to support of gun safety legislation Tuesday. Gov. Eric Holcomb designated school safety a top priority for the 2019 legislative session. 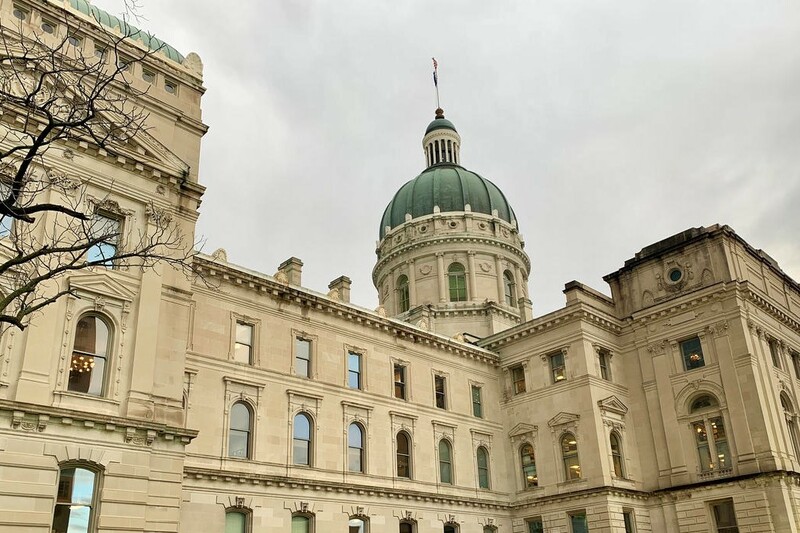 There are more than two dozen school safety related bills in the legislature this session, some filed in direct response to the Noblesville shooting. A panel of House lawmakers unanimously approved legislation Wednesday that would allow guns in churches on school grounds. The measure originally eliminated the fee for a lifetime handgun license – now, fees for short-term handgun licenses would be eliminated. The bill would change the period of those short-term licenses from four years to five. Indiana’s preschool program could grow to serve nearly every county this year. House Education Committee chair Bob Behning (R-Indianapolis) is backing a bill that would expand the state’s On My Way Pre-K program to the entire state. Right now, only preschool providers in 20 counties with a level three rating or higher on the state’s Paths To Quality system can qualify. But Behning’s bill would change the location limits for eligible providers. The committee plans to vote on the bill in the next week. The bill recently passed a Senate health committee to establish a Fetal Infant Mortality Review Team that would report to the Indiana State Department of Health. The proposal would direct providers to report fatalities to be reviewed by the state team every year until 2024. The bill was advanced to the full Senate. The high cost of certain medicines would be studied under a bill proposed at the statehouse. It would study why the price for drugs, like insulin, continues to increase. In addition to advocates for affordable insulin, an Eli Lilly representative also spoke in support of a comprehensive study. The House Public Health Committee passed the bill, moving it to the full House. Indiana laws related to the transmission of HIV were written in the '90s. HIV modernization legislation can encourage testing, reduce stigma and eliminate barriers to effective treatment. 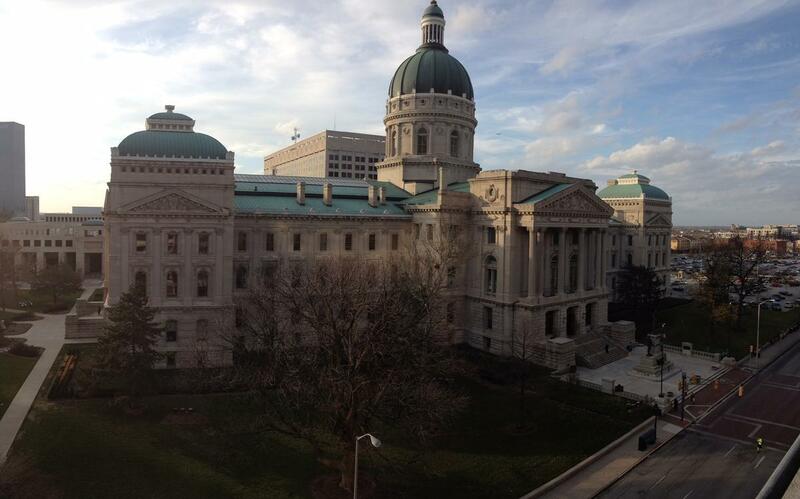 A bipartisan bill in the state Senate would bring back higher rates for net metering in Indiana. Right now, the power to bring back those higher net metering rates is in the hands of the Senate utilities committee — and its chair, Sen. Jim Merritt (R-Indianapolis). He authored the original law to phase down net metering and will decide if the bill will get a hearing. 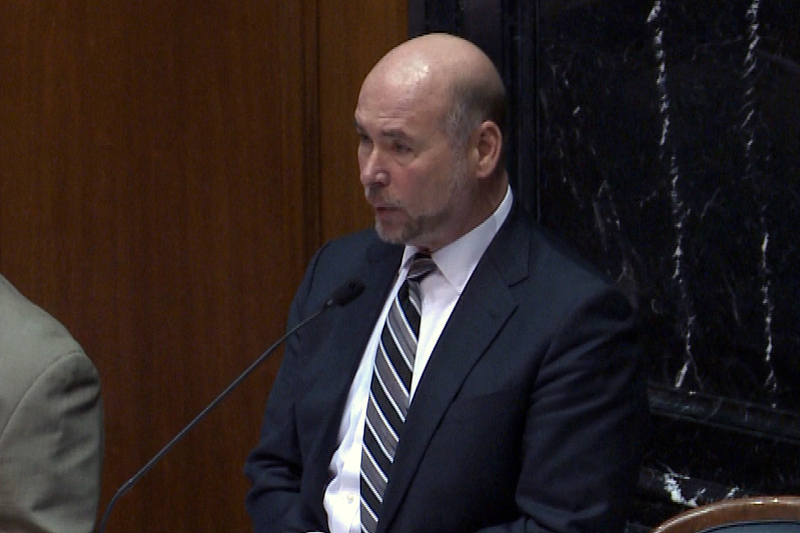 Merritt said in a statement Monday he would not hear the new bill, "as the bill would dismantle Senate Enrolled Act 309, which became law in 2017." The bill would direct the Indiana Department of Agriculture to create a program that would let farmers preserve their agricultural land and keep it from being developed into a subdivision or for an industrial use.